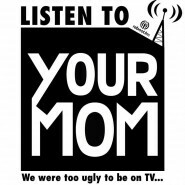 Your Mom’s on the Radio is happy to welcome Female:Pressure reps Leah King on the mic and Kritzkom on the decks. Together they prepared a showcase of some of Female:Pressure’s members. Leah King is an American producer, dancer and live singer, Kritzkom is a French producer and DJ, some of the tracks in the mix are techno, some bassy, atmospheric or more experimental… this goes to show the diversity of artists in the pan-European collective that gives visibility to women in music. Listen to more Female:Pressure X Your Mom’s, interact, share ideas and comments, share and support Female:Pressure’s Tumblr and soon to come festival at About Blank: fundraiser on May 29th, festival on September 24th & 25th. Posted on May 9, 2015.